Mission: To promote the ideals of academic achievement, character, service and leadership among students. Purpose: To provide a student-centered organization, continually develops and nurtures individuals by providing opportunities and experiences enabling them to demonstrate the ideals of character, achievement, service and leadership in a global community. 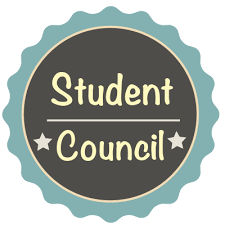 Financial Requirements: Students are responsible for dues to National Beta Club of $20.00, as well as any cost of trips taken as a Beta Club member. The core principles of the 4-H movement are reflected in the shared successes of 4-H youth and their communities. So, what are the principles that drive 4-H? Offering parents a sense of security by providing a fun, safe environment for their children. Financial Requirements: Varies from sport to sport. In some sports fundraising is an option to help offset the extensive cost. Basketball: Purchase of proper footwear (other team attire optional). Transportation to games. Cheerleading: Required to purchase uniforms, shoes and accessories. Responsible for fees to camps and competitions. Football, Baseball, Soccer, Tennis and Softball (these sports are in conjunction with students from Soldiers Memorial Middle School): Proper footwear, transportation to games sometimes required. Operates in covenant partnership with First Priority of America. First Priority operates under the equal access act signed in 1984. We are a multi denominational faith based organization. That exists to unite Christian students in the public school setting for the purpose of teaching leadership and accountability as well as to equipping, encouraging and empowering Christian students to live out their faith. Parents of students in grades 1-8 are given the opportunity to sign a release form for a school bus to pick up their child and transport them to a nearby church for Bible Lady lessons. This occurs for one hour once each month. Each winter homerooms in grades 4-8 hold classroom spelling bees. Winners from each homeroom are invited to participate in the school wide spelling bee. A school winner is sent to the county spelling bee held sometime at the beginning of February.